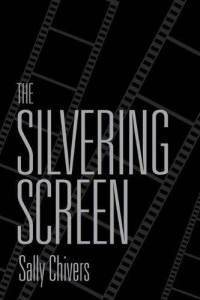 Sally Chivers’s The Silvering Screen: Old Age and Disability in Cinema is an important volume because it examines “contemporary film to ask why claims of physical and mental ability are necessary for older actors – and older people more generally” (xii). Beyond this, Chivers looks to film to ask how representations of aging reflect on “contemporary culture more broadly” (xii). While inter-sectional feminists have been arguing that human identities operate in tandem for many years now, age often does not receive the attention that other identity categories do and is routinely relegated to the backburner of discussion. Thus, there has been no sustained study of how age is typified in film until The Silvering Screen. Chivers theorizes how thinking gerontology and disability studies together affords her analysis of the silvering screen solid ground. Noting the difficulty in reading these two groups together (older people and disabled people)—i.e. which group is considered to be more vulnerable—there are still ways in which the two theoretical frameworks offer much by way of their collaboration. Specifically, Chivers notes “silvering screen films rely on illness or disability narratives to convey the social burden of growing old” (8). Thus, in this representative milieu—on the screen, at least—old age and disability have plenty in common. In a book that is strong on many levels, I would venture to suggest that Chivers’s proficient ability to read disability and age as informing one another is the book’s most important contribution. By arguing that “‘old age’ requires disability to be legible within an ‘efficient’ capitalist society” (8), Chivers offers cultural studies and film studies theorists a glimpse into the complexities of the representation of age in cinema: older people must be disabled to be read at all. This gesture, then, begins to unpack the complexities of the relationship between disability and old age, both on-screen and off. Chivers highlights the fact that, “in the public imagination, disability exists separately from old age, but old age does not ever escape the stigma and restraints imposed upon disability” (8). By acknowledging the interconnections and cross-readings of old age and disability, it becomes more obvious that reading the two frameworks together could be crucial for the enrichment of both fields of study. Once Chivers has delineated that using disability studies in conjunction with gerontology works for her larger analysis of contemporary film—the fact that “popular film” operates “as one site of ‘elderhood’ that merits scrutiny for its cultural formation of old age” (28)—she turns to the multiple ways in which old age figures on the (mostly) Hollywood silvering screen. Broadly, these categorizations include analyses of femininity, the marriage system, care (both familial and institutional), the way in which Alzheimer’s disease figures as a “quick way to symbolize … old age in general” (60), and white masculinities (and to a lesser extent, non-white masculinities). To underscore the complexities of these above-mentioned topics, Chivers offers close readings of a bounty of recent films organized around what she proposes as dominant cultural concatenations of the contemporary problem of old age and its representation. In the chapter entitled, “Baby Jane Grew Up: The Horror of Aging in Mid-Twentieth-Century Hollywood,” Chivers argues that actresses who once played starring roles in 1930s films get downgraded to holding “a bit part, a grandmotherly role” (38). This knowledge is not particularly new, but Chivers’s focus on the fact that, as she argues, some older actresses are placed in “a major horror role” (38) is compelling. Actresses such as Joan Crawford and Bette Davis, for example, experienced career renewal only “when [they] agreed to play a horror role” (39). For Chivers, aging women actors are presented as “horrifyingly disabled” (39) in particular films of the 1950s and 60s. In these examples — Whatever Happened to Baby Jane? (1962) and Sunset Boulevard (1950) — Chivers explores the manner in which women actors are compelled to reproduce the image of aging as pathology (40). Furthermore, accepting that disability, aging, and gender are positioned together on screen highlights “the impossible standards placed on all non-normative bodies (that is, all bodies) by mid-twentieth century Hollywood cinema” (41). Age and disability become related to horror, monstrosity and pathology (56-7). What is more, audience members watching such films either identify or reject the representation on the screen; in both cases, viewing offerings from the silvering screen crystallizes something about their own identities. In subsequent chapters, Chivers proceeds to underline a startling phenomenon on the silvering screen: the way in which it “over-stories the cognitively disabled characters, revealing … Alzheimer’s as a simple and horrifying loss of self [that] is in fact strangely forced in order to illuminate a broader range of late-life experiences” (62). Tracking the Alzheimer’s narrative through several films, Chivers exposes how representing the late-life illness “symbolizes the overall horror that is assumed to be a part of the aging process” (73). She pushes the analysis even further by delineating the ways in which caring for these bodies becomes an “imagined burden” (74). Films such as Pauline and Paulette (2001), A Song for Martin (2001), Iris (2001) and Away From Her (2006) are capably interpreted for their emphases on how the cognitively disabled body gets reads in relation to “normative aging—of peaceful but lonely retirement” (62). Further, in the case of the latter two films listed here, the “importance of heteronormative, monogamous” marriage units regarding the care of the Alzheimer’s patient is deftly interrogated and highlighted by Chivers. Finally, Chivers turns her attention to depictions of masculinity on the silvering screen. Focusing on screen legends such as Paul Newman, Clint Eastwood, and Jack Nicholson, Chivers suggests that white (aging) masculinity holds a certain invisible privilege (99). Films starring these actors “transform the older male figure from a man whose masculinity is perceived to be fading to a man whose masculinity is exaggerated” (99). Chivers also rightly points out that Morgan Freeman is placed in a supporting role in “countless films” (99) and his roles often “demonstrat[e] the apparent expendability of the racialized body to the silvering screen” (99). Thus, white patriarchal power—in films such as Nobody’s Fool (1995) and Unforgiven (1992)—is alive and well in cinema, even if age does become a theme in the films. While all of the film analyses have something interesting to offer in The Silvering Screen, I found Chivers’s analysis of Eastwood’s Gran Torino (2009) to be one of the most engrossing. Chivers shows how the film works to solidify the American Dream through the elucidation of particular racist “American values” (114). Interestingly, Gran Torino, Chivers argues, “indulges in overt intolerance while simultaneously appearing to condemn it” (115). Eastwood’s character both “rescues and abuses the Hmong body” (117), his neighbours in the ‘declining’ all-American suburb where he lives, while also perpetuating great violence both for and against them in the film’s final dramatic execution scene (119). In Gran Torino, then, Eastwood plays “a violent vigilante reinstituting [stereotypical, patriarchal] order,” even as he grows old (102). Interestingly, The Silvering Screen concludes by noting that while aging is variously represented on the silvering screen, death itself rarely becomes a subject matter. Chivers argues that “a focus on death within the silvering screen would be a focus on the death of the current socio-economic system, a phenomenon that many of the films work together to obscure” (146). Raising numerous crucial questions concerning the politics of aging, disability, and filmic representations of a stratification of productive capacities, Chivers’s latest book is a must-read for critics working in feminist film studies, cultural studies, gerontology, and disability studies. Dilia Narduzzi recently completed her PhD in English and Cultural Studies at McMaster University with a dissertation that addresses the biological, cultural and queer manifestations of the reproductive process. This research discusses how reiterative processes of physical and cultural reproduction operate to entrench bodily and socio-cultural norms. Current research interests include apocalyptic and post-apocalyptic narratives, specifically how the concept of nature factors in these stories.